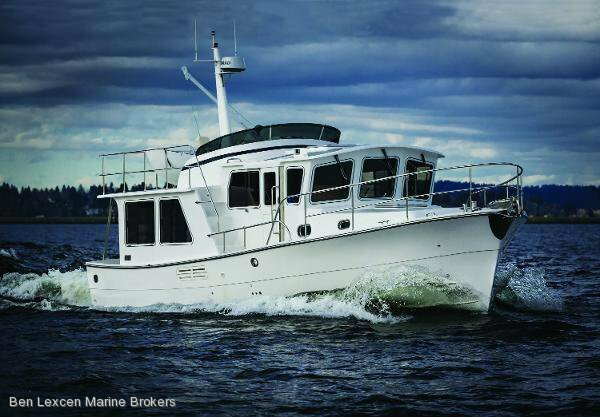 All Helmsman Trawlers® feature proven, solid construction methods, exceptional craftsmanship, abundant use of quality materials, and beamy, capable hull designs. 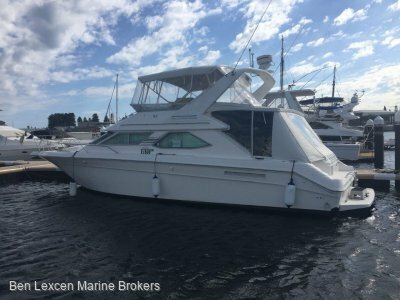 The Helmsman 38 Pilothouse is an innovative designed for those who want to cruise economically, enjoy the spacious feeling of a much larger boat while still fitting into a 40 foot slip, and surround themselves with a richly nautical and comfortable interior. 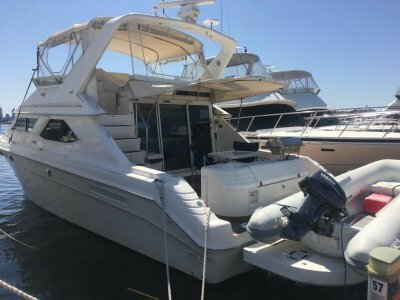 The unique "low rise" pilothouse offers exceptional visibility, maintains open communication with the salon, and is a roomy living area underway or in port. The main salon is expansive, comfortable, and richly nautical. And a second head is a practical feature with guests aboard. The main settee and second head can be enclosed to create a private suite for guests. 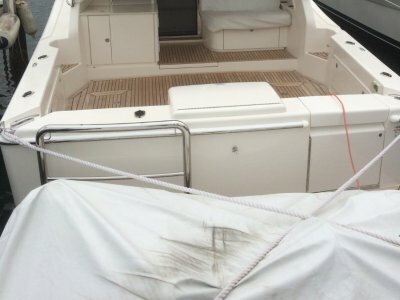 The flybridge is set back to maintain a lower profile and to reduce windage. 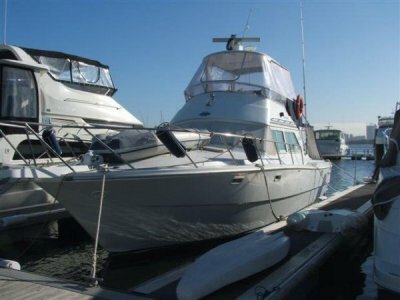 A high bow, covered cockpit, deep pilothouse side-deck footwells and wide flybridge access stairs port and starboard increase this boat's practicality and safety in all weather conditions. Minimal exterior maintenance and reliable, economical propulsion systems allow owners to spend more time cruising. A wide range of options and custom configurations are available. We'd like to talk with you about your ideas!